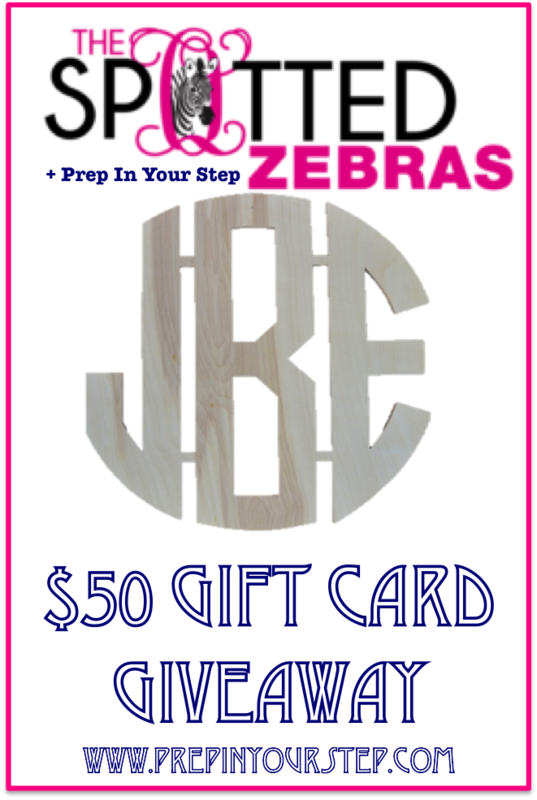 Today I am teaming up with a super fun business called The Spotted Zebras to giveaway a gift card for an adorable wooden wall monogram! One awesome thing about this site is that when purchasing them you can choose to have them painted for you or unfinished for you to paint yourself! With many different sizes and styles to choose from you will be able to find the perfect piece just for you and the space you hope to accessorize! 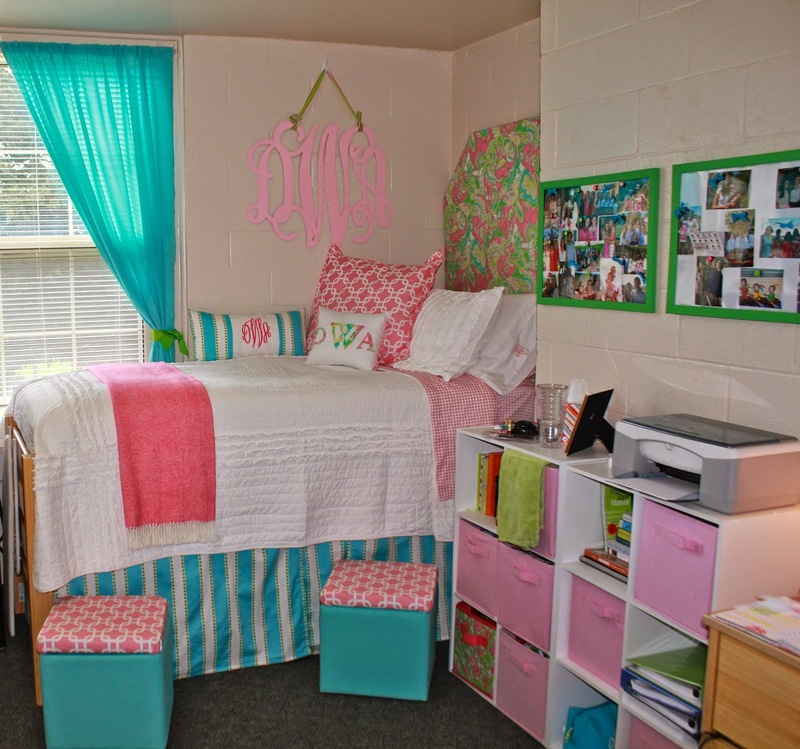 My wooden monogram was one of my favorite pieces in my dorm room! It was the perfect accessory and decoration to personalize my room and add to the insane number of monograms noticeable in my dorm! I would love to see two blog posts on summer wedding attire and cute personalized gifts for the happy couples! I am attending 4 weddings this summer and I am in desperate need of outfit and gift inspiration! I would love to see your every day makeup routine as well as your favorite summer reads! Favorite Boutiques and favorite vacation spots! I'd love to see your favorite makeup products and friend birthday gifts on a budget! Daily makeup tutorial/products and a beach tote "What's in My Bag?"! I've been looking for a wall monogram for my dorm next year! I love school supplie/organization posts. I also think it would be interesting to have some of your camp counselor experiences as a post since I know a lot of my friends had a blast in those positions. Other post ideas: 5 nail polishes for the summer you adore, best friend tag, favorite summer spots. I would love big/little crafts and your dream vacations. I would love a packing list post for summer vacations!! Craft ideas and your bedtime routine! I would love to see your daily makeup routine & your favorite blogs! I'd love to see preppy book suggestions, and city guides (like your favorite things to do in different cities). I personally use social media a lot to get blog post ideas... so I use Pinterest and Instagram a ton to find ideas or new brands! Any DIY projects that you do or college survival series. I'd love to see college wardrobe essentials. I'd also like to favorite books! I'd love to see some low budget tips and a lot more collages I love your collages. And a lot more perfect pictures of you! Hihi. I'd love to see Big/Little Crafts and organization posts! I would love to see your favorite styles for the summer. Also would like to see what your favorite online boutiques are. I would love to see some organization tips and how you take care of your hair! I would love to see how you survived your finals week and how to make a normal summer day fun! Ideas for small space organization and how to add more color into your decor! I would love a post on how to find good deals! beach wear would a be another good blog post! I absolutely love these monogram decorations and want to redo my room. This would be a perfect decoration!